Stack of coins icon. Glossy button design. Vector illustration. 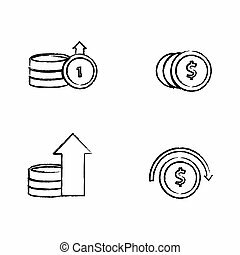 Stack of coins icon. Blue frame design. Vector illustration. Stack of coins icon. Flat color design. Vector illustration. Stack of coins icon. Gray background with green. Vector illustration. Stack of coins icon. Orange background with black. Vector illustration. Stack of coins icon. Black background with white. Vector illustration. Stack of coins icon. White background with shadow design. Vector illustration. 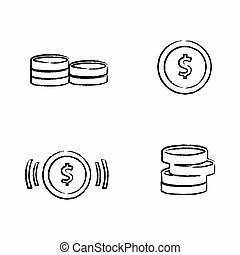 Stack of coins icon on gray background with round shadow. Vector illustration.